Purslane, or more accurately, common purslane (Portulaca oleracea), is a very nutritious plant that is cultivated and/or grows as a weed throughout much of the world. Other common names include: pusley, pursley, verdolaga, little hogweed, red root, andrakla (αντράκλα), glystrida (γλυστρίδα), reglah (رجلة), Bakleh, burdullak, qulfa, baldroegas, sanhti, paruppu keerai, gangabayala kura, punarva, and kulfa, amongst many, many others. 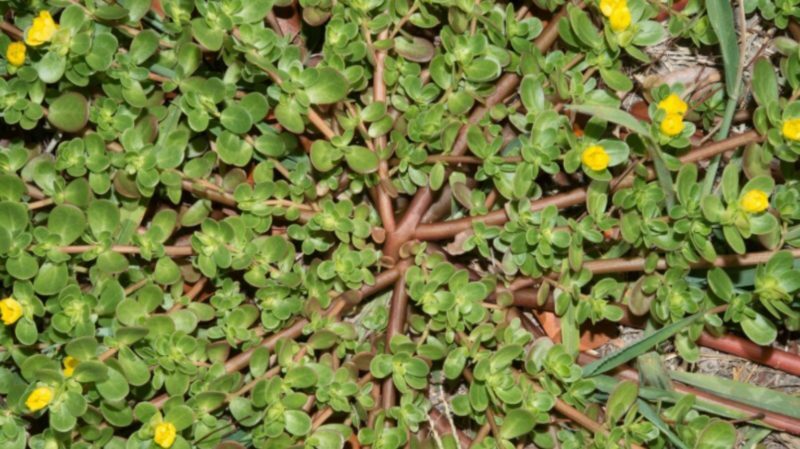 Notable qualities of the plant, in addition to its tastiness, include: the fact that purslane contains more omega-3 fatty acids than any other leafy vegetable food; that it contains high levels of Vitamin E, Vitamin C, Magnesium, and Potassium; and that it’s very useful as a companion plant thanks to its deep, powerful taproot growth. It’s cosmopolitan distribution is another very notable quality — with the plant growing practically everywhere in the temperate world. This cosmopolitan range-extent doesn’t seem, going by the evidence, to be a recent phenomenon — but rather to possibly stretch back into prehistory. The species is classified as being part of the family Portulacaceae, can grow to be more than 16 inches tall, and can flower at any time of the year. Notably, the seeds are edible as well as the greens, but should probably be processed in the traditional ways (or good approximations) of those that ate them, such as various Australian Aboriginal peoples. This is so as to break down or remove some of the components which can potentially cause problems for people. 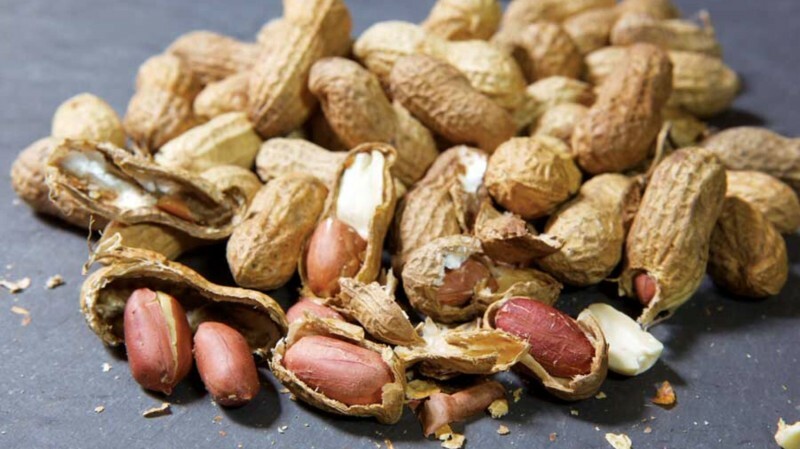 Peanuts (Arachis hypogaea) are the legumes of a species of plant in the family Fabaceae, and are one of the most widely eaten plant foods in the world today. Despite the name “peanut”, as just noted peanuts are a legume rather than a true nut — as a “nut” is technically just an indehiscent fruit. That said, in common English peanuts are always referred to as being “nuts”. Peanuts were first domesticated roughly 8,000 years ago by the American Indian groups living in what’s now Paraguay (along with potatoes, peppers, tomatoes, vanilla, corn, turkeys, a species of cotton, beans, cassava, the rubber plant, chicle/chewing gum, etc), by a rather complex process involving multiple different species. Peanut plants typically grown to be 1-1.6 feet tall, and are notable for sending their flower stalks (ovaries) underground after pollination — where the legumes (peanuts) then develop. This process is known as geocarpy. These peanut pods typically contain 1-4 peanuts each. 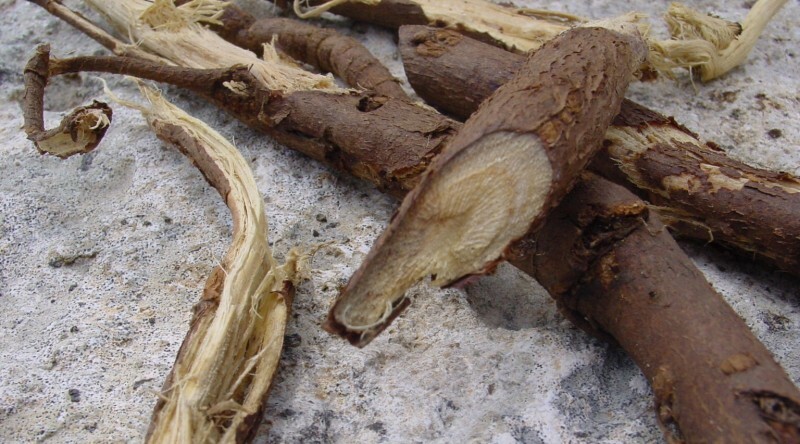 Licorice root (Glycyrrhiza glabra), alternatively known as liquorice root, is a commonly used herbal medicine native to Southern Europe and parts of Asia — including, in particular, India, where it has a long history of use. The root of the plant — which is categorized as a legume — is often also used as a flavouring agent in candies, in particular in Northern Europe, but elsewhere as well. Which is related to the origin of the word licorice/liquorice, which is derived from licoresse (Old French), which is in turn derived from the Greek wrod γλυκύρριζα (glukurrhiza) — “sweet root”. Despite some superficial similarity of flavor/aroma, licorice root actually isn’t related to anise or fennel. This aroma is the result of a number of different interacting (and mostly chemically related) compounds — of which, the compound anethole makes up roughly 3% of total volatiles. Milk Thistle (Silybum marianum) has been over the past few millennia, at the very least, one of the most widely used and effective herbs in the world. It’s probably the most important herbal liver medicine out there — and can be used very effectively to help limit/prevent liver damage when exposed to toxins/poisons. 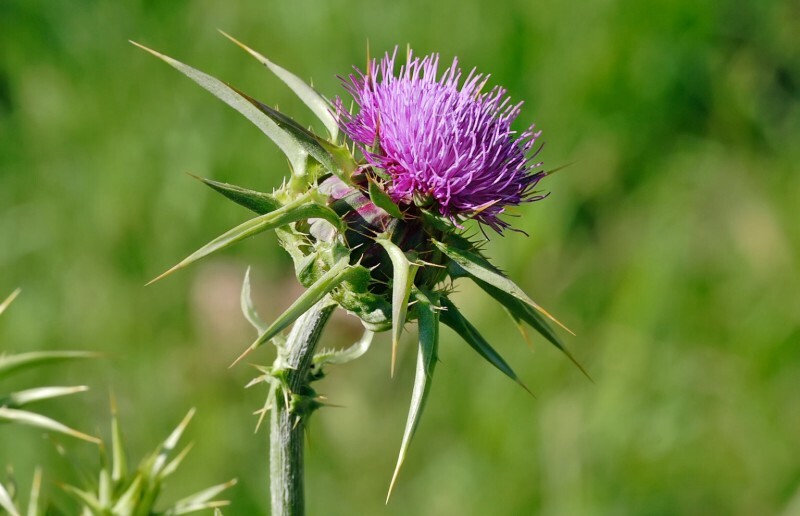 Isolated compounds from the milk thistle plant (Silymarin, Silibinin) are commonly used as treatment for: some types of mushroom poisoning; cerebral edema (a type of brain swelling); acute hepatitis; and other types liver disease/damage and/or toxin exposure. And it’s worth noting up front that milk thistle (via extract) is itself an effective (not perfectly so, but to a notable degree) remedy against severe liver damage or death in the case of the ingestion of some types of poisonous mushrooms (such as death caps). 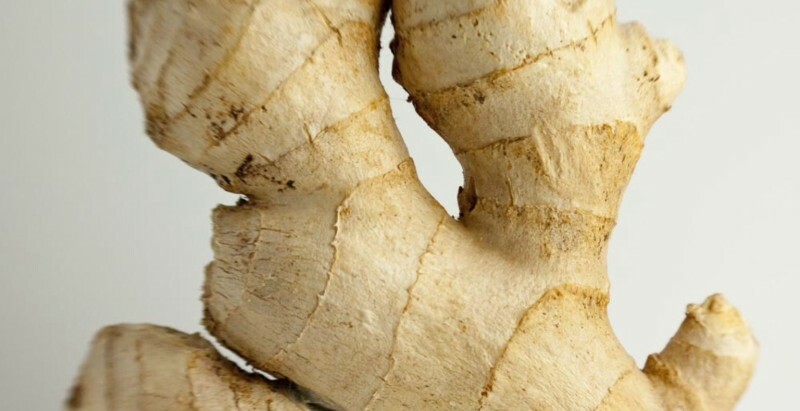 Ginger root is a commonly used culinary ingredient and/or herbal medicine that’s currently in use nearly anywhere that you can go in the world — in a number of different forms, and/or including: ginger root tea, fresh ginger, and dried ginger. All of which are thought to have somewhat different medicinal effects — largely owing to the difference in relative-proportions with regards to the active-compounds, which are thought to be: the gingerols, zingerone, and the shogaols.